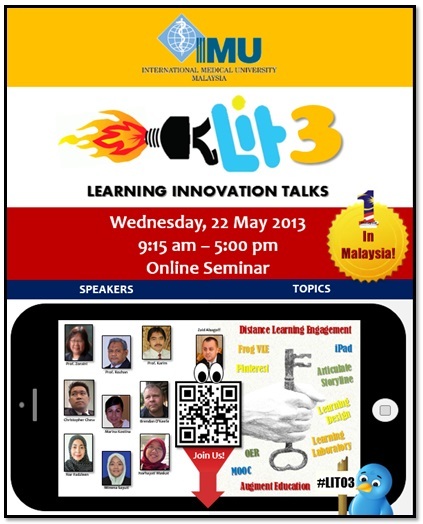 The 3rd Learning Innovation Talks (LIT03) on the 22 May (2013) was organized by the International Medical University (IMU). This was the first LIT to be done fully online. And this is totally inline with IMU's 3I's, which are Insight, Imagination and Innovation. Here is IMU's e-Learning Team that masterminded this successful mission....Congratulations! 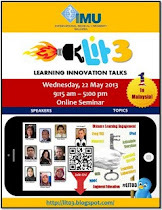 As far as I know, this was also the first 1-Day Online Seminar held by a University in Malaysia. WE MADE HISTORY, TOO! Congratulations! Also, we would like to thank the WizIQ management and Dr. Nellie Deutsch for supporting the event by ensuring that the WizIQ platform was in tip-top condition for the online seminar. Finally, we would like to thank everyone involved in the online seminar for making it such a success, and that includes the IMU ITS personnel, speakers and participants. kudos to @zaidlearn n team for #LIT03. Great speakers and awesome participants too! LIT03 was very fortunate to have a collection of exceptional educators and experts (8 Malaysians and 2 International) to start with, and they certainly lived up to that during LIT03. They were all exceptional, inspiring and unique in their own ways, so instead of me babbling about them, please enjoy the unedited recordings below of all the sessions during LIT03. *Unedited versions below, so please skip the first 15 minutes for both session to view the online talks. *Edited versions will be published on YouTube in the coming weeks. 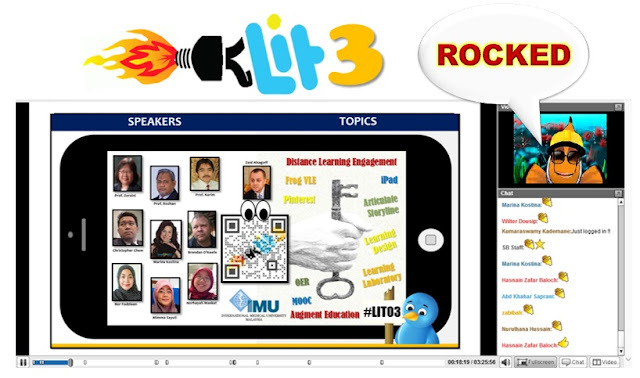 Click Here to view the LIT03 Resource page. All resources shared by the speakers can be found there. 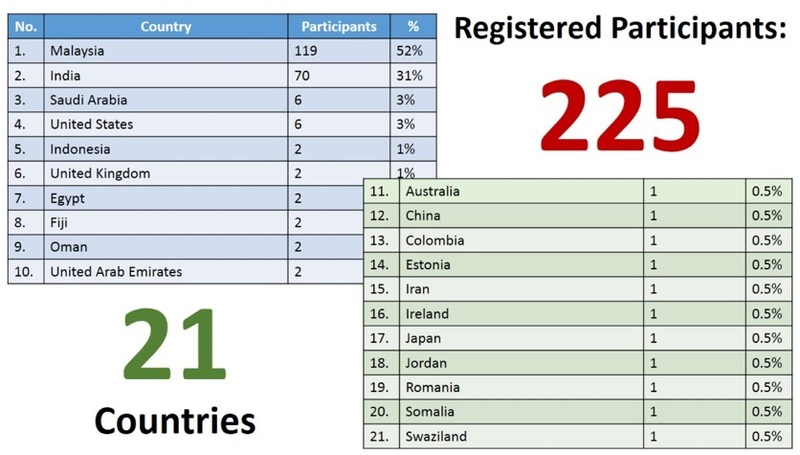 225 people from 21 countries registered for LIT03. As expected not everyone turned up (which is totally normal for free online events). For the morning session 89 participants turned up (39.6% out of 225), and 81 participants (36%) for the afternoon session. 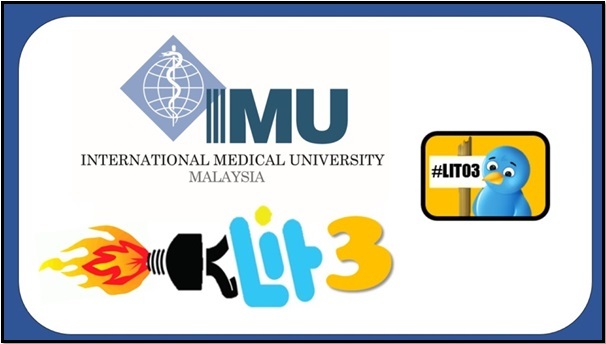 So, the promotion and awareness of LIT03 was really good (The LIT03 website: 3,100+ page-views). 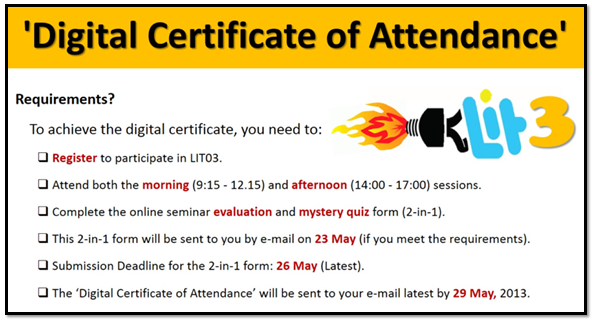 67 participants at LIT03 fulfilled the attendance requirements to get the Digital 'Certificate of Attendance', and once they complete the evaluation and mystery quiz form, they will be e-mailed the certificates on the 29 May (2013). If we compare LIT03 to our previous Learning Webinar Series 2012, which had 12 world renowned educators giving online talks, LIT03 has been a SMASHING SUCCESS. None of the previous webinars organized by IMU last year (2012) reached more than 50+ participants (each session was for only one hour, too). 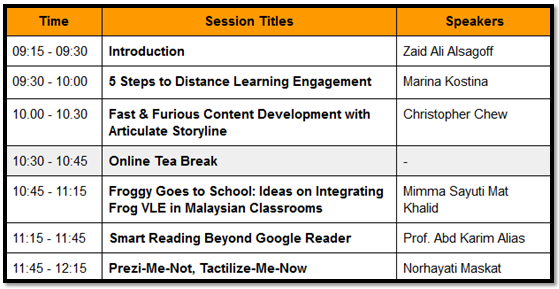 However, LIT03 had 80+ participants for both morning and afternoon sessions (3 hours each), and 67 attended both. WOW! 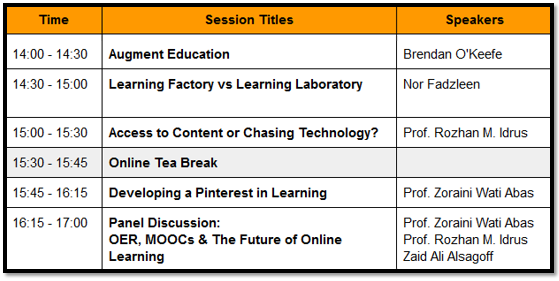 All IMU webinars since we started (Feb 2012) have had great local and International speakers, but besides good viral promotion, I believe the introduction of giving a digital certificate for (real) participation is an important extrinsic factor to increase the attendance. Besides learning, people also want to get recognition for their attendance and participation. 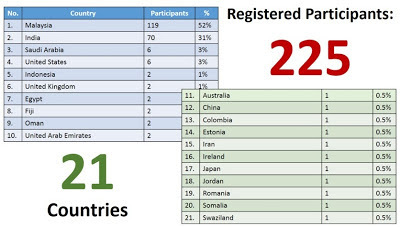 Compared to other educational webinar series around the world in terms of attendee numbers, we still have a long way to go. 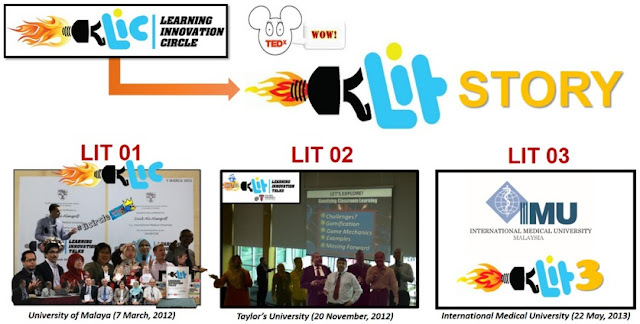 But, if we talk about quality, engagement and excitement, LIT03 was exceptional. Although, we had some technical glitches on the way, it was a memorable and inspiring learning event, which will be remembered for years to come by many of the participants and speakers (and those that watch the recordings). Overall, LIT03 was AWESOME! Why? Passionate Speakers, Active Participants and Great Organizers! The revealed triple secret to great online learning events! For all of you that participated in LIT03 and making it a success...Thank you! WE DID IT! Learning Innovation Talks - Join Us!